I am a PhD candidate, Liu Scholar, and Vanier Canada Graduate Scholar co-supervised by Kai Chan and Hisham Zerriffi (Liu Institute for Global Issues), with Sean Smuckler (Land and Food Systems) on my committee. Broadly, my interests lie in sustainable rural development; I have a strong desire to influence development and conservation policy and practice in order to improve outcomes for both people and the environment. My current research explores social-ecological system outcomes when small farmers in developing countries participate in global coordinated food and environmental service markets. I am studying empirical cases of market participation in Costa Rica and Mexico funded by the Liu Bottom Billion Fund and the International Development Research Council. 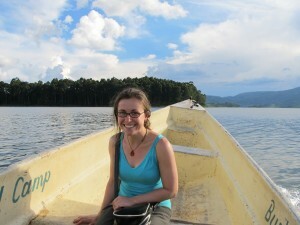 Most recently, I completed an internship participating in small scale farming in British Columbia, and will be starting my PhD fieldwork in Central America in November 2013. As well as CHANS, I am also involved with the Zerriffi Research Group and the International Development Research Network at UBC, and am a Research Fellow of the Earth System Governance Research Network. During my PhD, I have been involved in student government at IRES, including work to get a community garden started, in research surrounding decision making and institutional sustainability, and in leading a review on the impacts of Reduced Emissions from Deforestation and forest Degradation on local communities for the Responsive Forest Governance Initiative. 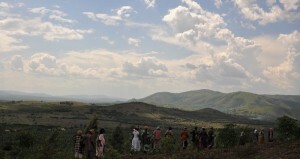 Previously, for an MA at IRES (2010), I studied the effects of carbon credit generation on development outcomes of tree planting projects involving small farmers in Uganda, and completed a BSc in Environmental Science at Mount Allison University (2004). My professional experience includes research and development work in communities in East Africa, Angola, Costa Rica, Honduras and Canada, including a CIDA-funded agricultural internship with Africa Community Technical Service in rural Uganda, and teaching at camps, at the Royal Ontario Museum in Toronto, and on UBC Farm. Anderson, E., Findlater, K.M., Freeman, O.E., Levine, J., Morinville, C., Peloso, M., Rodina, L., Singh, G., Tesfamichael, D., Harris, L. and Zerriffi, H. 2012. Bridging Disciplinary and Professional Divides to Improve International Development Research at Universities. In W. Leal Filho (Ed.) <em>Sustainable Development at Universities: New Horizons</em> (pp.753-769). Frankfurt, Germany: Peter Lang Internationaler Verlag der Wissenschaften.